Milwaukee M18 FUEL Combo Kit Review 2997-22 – UPDATED with One-Key Information! Earlier this year our team got to use the new Milwaukee M18 FUEL combo kit (2997-22). This is a 2-tool kit which includes the M18 FUEL 1/2″ Hammer Drill (2804-20) and M18 FUEL impact driver (2853-20). While getting a short amount of time with these at the 2018 Milwaukee media event, taking them in-house allows us to really see how they compare to the 2015 Milwaukee 2-tool combo kit tools they replace. For new users, we provided a brief overview of these tools. If you already know about these tools and their specs, drop down to our Hands-on Testing section. Update: Milwaukee has announced One-Key versions of these tools. To see the details, skip to Page 3. The Milwaukee M18 FUEL 1/2″ hammer drill (2804-20) has the same torque as the 2704-20 model we tested back in 2013 during our head-to-head hammer drill shootout. It’s still industry-leading at 1,200 in-lbs. There are a couple contenders that could give it a run for the money. That includes the Hitachi DV18DBL2 and the new RIDGID Octane 18V drill which claims 1,300 in-lbs of torque. Presumably, the new Hitachi MultiVolt 36V hammer drill due in September will also fall into this class. While matching the power and torque of its predecessor, the Milwaukee 2804-20 hammer drill measures 1-1/2 inches shorter in length—just 6.9 inches. Like the updated Milwaukee M12 FUEL impact driver and drill, these new models bring a much-needed size reduction to Milwaukee’s FUEL power tools. They’ve not only reduced the length of the tool, but they also took a little off the middle. The handle also feels more ergonomic—with a smaller overall circumference. Because Milwaukee redesigned the way they integrate the clutch and hammer mechanism, they also created a new benefit. The hammer drill no longer carries extra length over the drill—both measure just 6.9″. The Milwaukee M18 FUEL 1/2″ Hammer Drill continues to use their Powerstate Brushless motor and the top speed matches the 2704-20 at 2,000 RPM. If you somehow overtax the hammer drill, RedLink Plus will shut it down to protect against overloads and heating. You also get protection against over-discharging the battery pack. 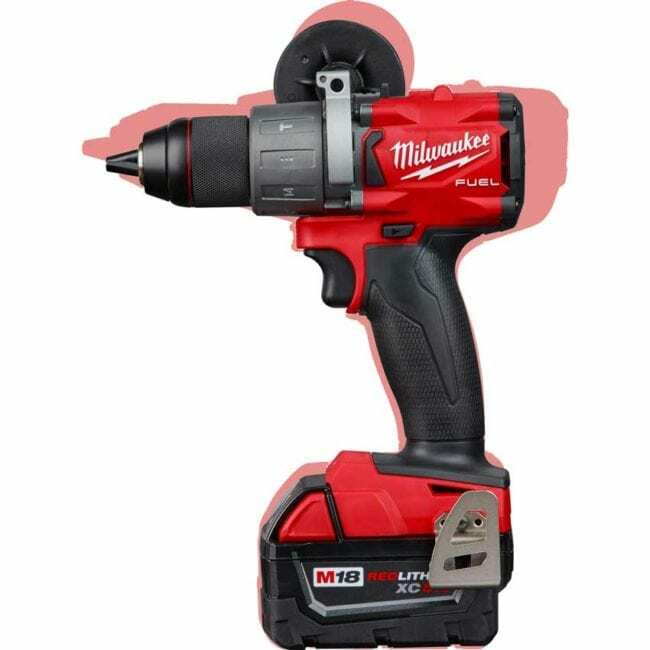 Finally, Milwaukee continues to ship this hammer drill with an all-metal ratcheting chuck. The chuck is very similar to the prior model, and the ratcheting jaws retained the hardened steel with almost serrated internal teeth that bite into bits. Like the new FUEL hammer drill, the updated Milwaukee M18 FUEL impact driver sports a new compact size. Really compact. You get an extra 200 in-lbs of torque, and the new tool is just 4.59 inches long. It shaves over 5/8 of an inch off the Milwaukee 2753-20. That makes this new impact driver more compact than even the well-regarded DeWalt DCF895 (beating it by 500 in-lbs of torque as well). It’s also nearly 3/4-inch shorter than the brand new DeWalt DCF888 (and has 175 in-lbs more torque). The self-tapping screw mode is designed to keep you from snapping the heads off screws or ruining your bits when coming to a hard stop. It’s perfect for setting self-tap screws in sheet metal panels or steel studs. As much as I enjoy Milwaukee One-Key, sometimes it’s nice to simply give the user a button. 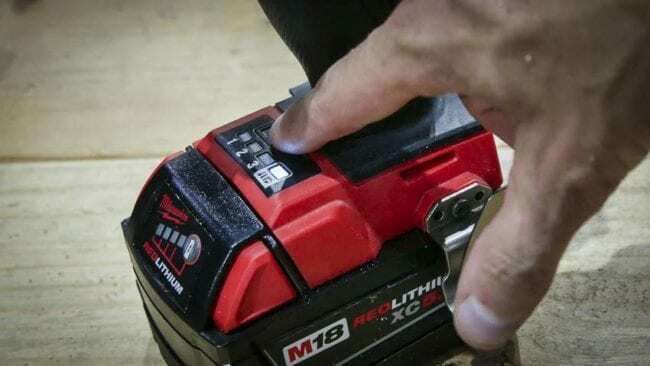 If you used the Milwaukee 2753-20, this new model gives a noticeable speed bump. The 2015 impact driver operates at three speeds: 850, 2100, and 3000 RPM. Milwaukee not only increased the top speed by 600 RPM, but it also bumped all three across the board. The most noticeable gains occur in Mode 3 and also Mode 1 where you would get down to that slower 850 RPM by feathering the trigger. 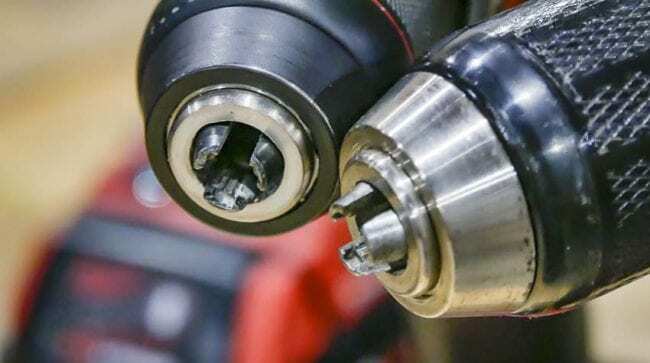 Overall, this speed adjustment should speed up most fastening applications, regardless of desired torque. Like the 2753-20, the Milwaukee 2853-20 impact driver chuck lets you insert and remove bits with one hand. Personally, I prefer this as it lets me simply push a bit into the 1/4-inch hex chuck without having to pull it first. The Milwaukee M18 FUEL combo Kit (2997-22) includes the M18 FUEL 1/2″ hammer drill (2804-20), M18 FUEL impact driver (2853-20), two (2) M18 RedLithium XC 5.0Ah batteries (48-11-1850), M18 & M12 multi-voltage charger (48-59-1812), carrying case, side handle, belt clips, and bit holders. You can really see the difference in the length of the new tools (center) vs the last-generation FUEL models (outside). Bad link.. Shop Now goes to kit 2899-22 which is the old kit with the Surge hydraulic driver thingamabob. So does this have the auto torque speed control like the Makita product ?